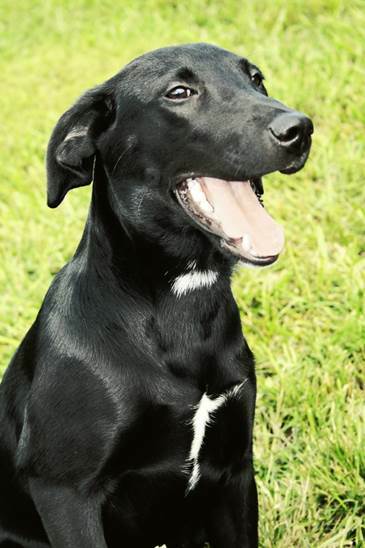 Raven was rescued by the Friends of Campbell County Animals (FCCA). She had a broken leg and a severe case of mange, which have been treated. 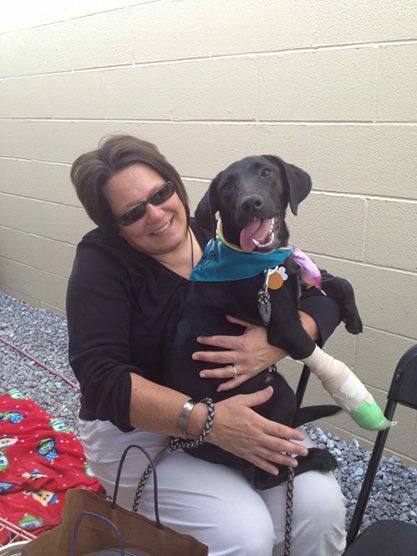 FCCA called upon us to help with Raven’s spay surgery. We gladly paid the $75 needed to her vet. Once she is all healed up, she will be available for adoption. 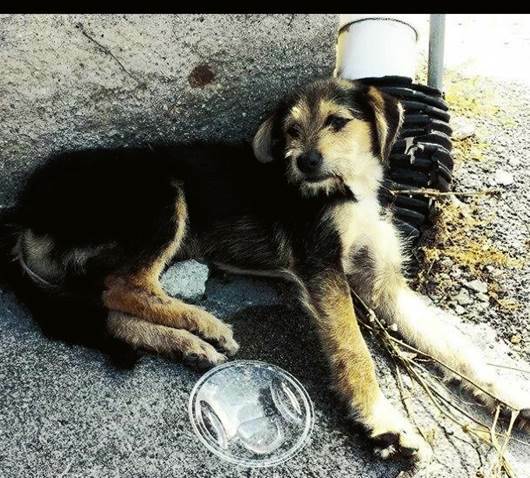 Anyone interested in Raven should contact Friends of Campbell County, Tennessee Animals via Facebook. 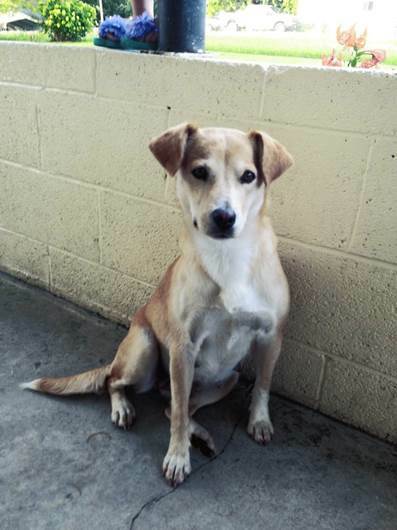 Sunny was a pregnant shelter dog, and shelters are no place for puppies to be born. She was in distress to boot. The Friends of Campbell County Animals (FCCA) pulled her while she was in labor, and she ended up needing surgery. We were happy to cover the bill of $197! Recently, Friends of Campbell County Animals (FCCA) called upon us to help with two emergency cases. 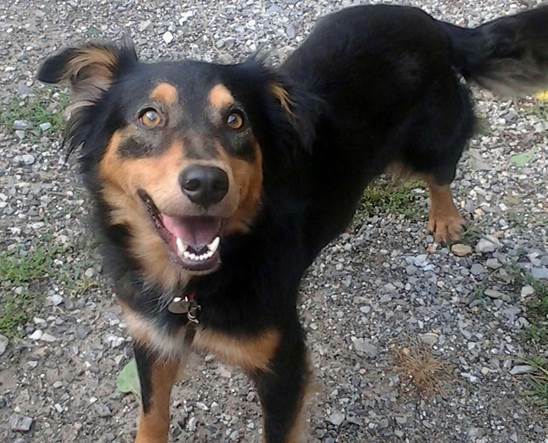 Indy had been hit by a car and was diagnosed with a broken pelvis. He needed x-rays, pain medications, and rest. Charley was pregnant and in duress as her labor began. She was rushed to the vet for an emergency c-section and spay. The puppies did not make it, and only surgery spared Charley’s life. She is recovering comfortably at a foster home. Both dogs will be adopted out once they’re fully healed. 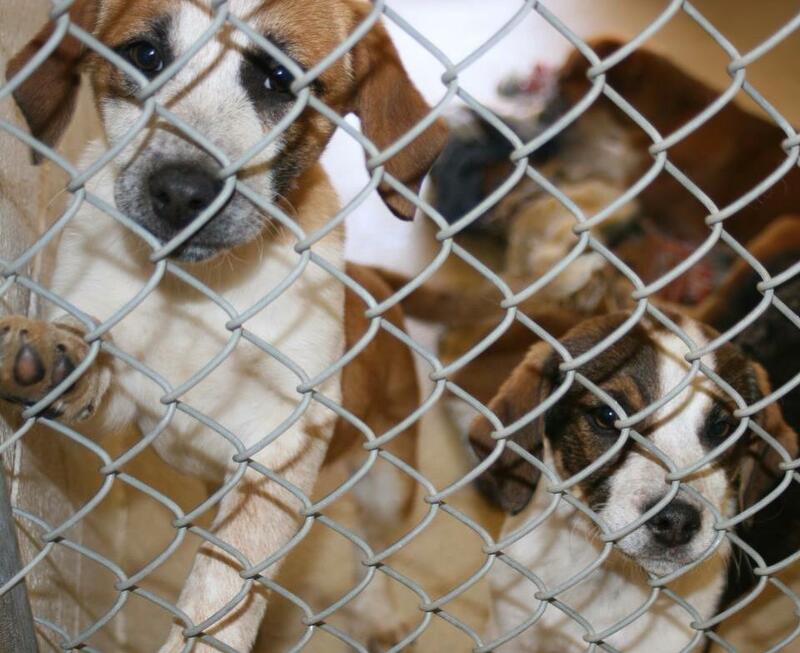 We were glad to cover the fees totaling $423.50 for these precious dogs. 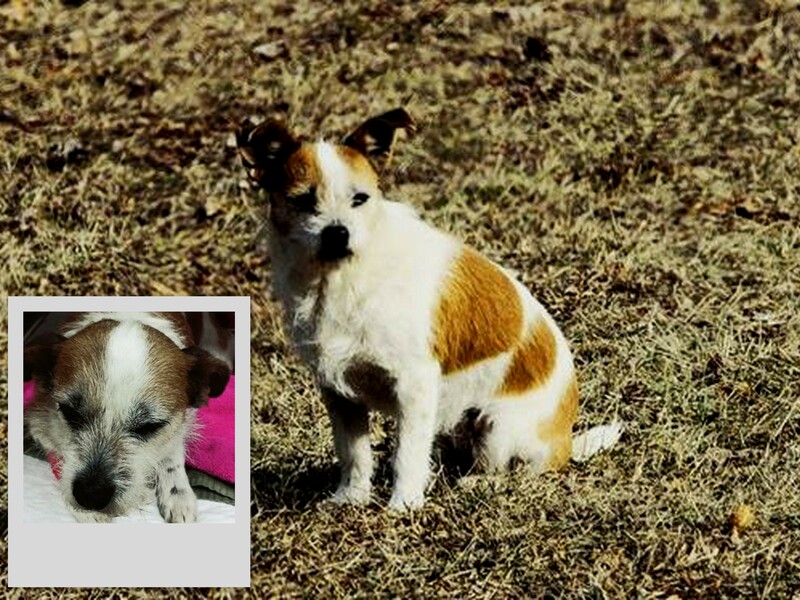 Margo, a cute little wire-haired terrier, was hit by car and left to die. Her leg had to be amputated, but she still had a lot of life in her. Once Margo has recovered from surgery, she will be spayed. Altogether, Margo’s care is going to set the Friends of Campbell County Animals back by about $400. HPAN agreed to donate $200 toward Margo’s care. The Friends of Campbell County Animals (FCCA) recently hosted an online campaign to raise funds for Mocha, a rescued foster dog who is heartworm positive. The campaign was well underway when HPAN noticed the rescue was $50 shy of meeting their financial goal, so we stepped up and made a $50 contribution to Mocha’s vet so she could get the needed treatment. The animal shelter in Campbell County has a 98 percent euthanasia rate for cats. The Friends of Campbell County Animals recently made a connection with Cat Adoption Team (C.A.T. ), a non-profit organization based in northern Kentucky and southern Ohio, who agreed to take 19 cats from the Campbell County shelter and 3 from the Oak Ridge shelter. They were short $485 of the needed $1870 to have the cats tested for disease, vaccinated, and altered. C.A.T. agreed to cover booster shots, etc. once the cats are with them. We are so thrilled that we had the money to cover their remaining need! All 22 cats were transported to C.A.T. December 13th will soon be with their forever families! Success!!! 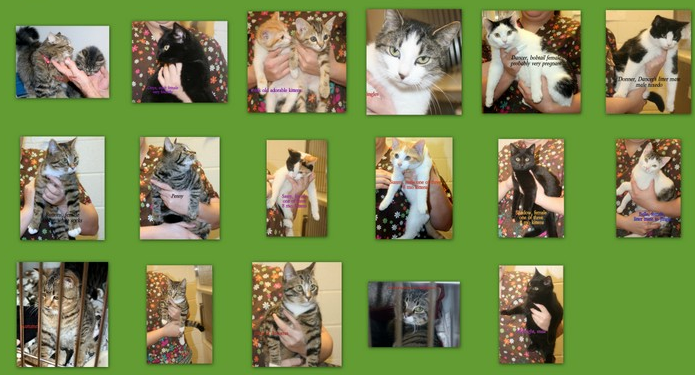 More can be learned about the Cat Adoption Team at www.catadoptionteam.net. When we learned that the Friends of Campbell County Animals needed funds to continue their work and what it would take to sponsor a few animals, we decided to offer help. HPAN donated $50 which will help either two small cats or two small dogs. 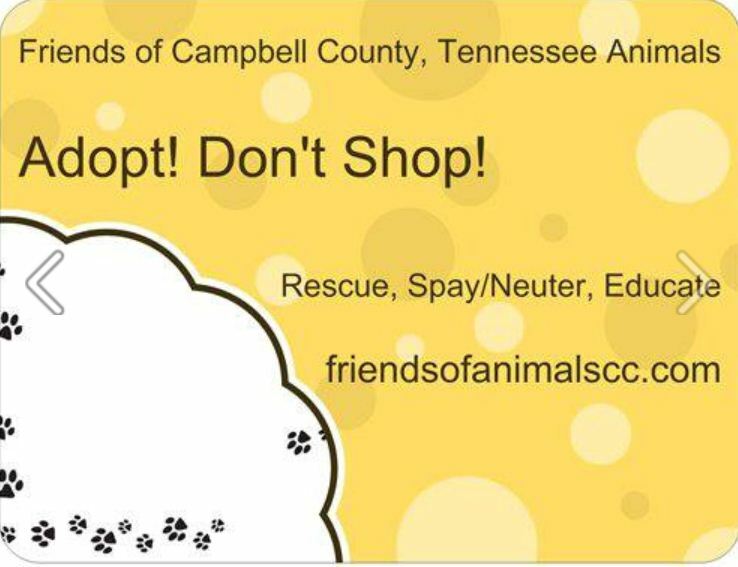 You can also donate by going to www.facebook.com/friendsofcampbellcountyanimals. They’re also having a great online auction there! The Friends of Campbell County Animals (FCCA) has been hit hard lately due to the recent closure of the county’s animal shelter. They’re struggling to pay vet bills totaling around $3,000. FCCA’s operator informed us that they are being called on for every animal need the county has – from a dog that has had its paw cut off to spaying/neutering/vetting of multiple animals. The Helping Paws Animal Network contributed $300 to assist with cost associated with all these needs. Thanks for any help you can send our way, because helping HPAN helps groups like this!